Budget Blinds on Vancouver Island carries a huge variety of window coverings including blinds, shutters, shades, curtains, drapes and window film. They now serve the Comox Valley, as well as Campbell River, Qualicum, Parksville and Nanaimo. Budget Blinds provides high quality and stylish window coverings and blinds for new homes and home renovations as well as for commercial, retail and professional offices. Their goal is simple: to provide their customers with the best window coverings and products combined with professional installation services. To help choose the most suitable window product in the perfect texture and colour, they have interior designers on staff who will come to you to help you choose the right window coverings for your home or office. Budget Blinds also supplies business owners and property managers a complete turnkey solution for their window covering needs. Commercial window treatments are available motorized, flame retardant, kid friendly, cordless and even energy conserving. Budget Blinds also offers an entire line of green window coverings that are eco-friendly and made from sustainable materials. They offer very competitive pricing on popular and unique window coverings. 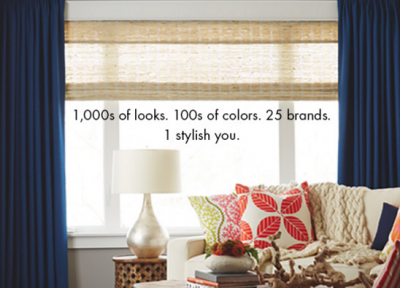 Budget Blinds can customize fit any window covering regardless of the shape of the window. Call them today to schedule your free consultation!